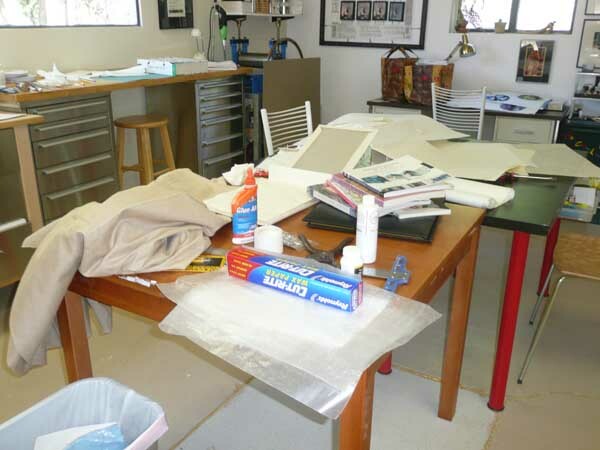 The mess in my studio looks a little like the inside of my head right now. I'm working on designing and constructing a one-of-a-kind (well, maybe eventually a small edition) book for the law office of Snell and Wilmer for their office in Salt Lake City. The law firm is a corporate sponsor of our US Route 89 project. One of the benefits they get for their sponsorship is a series of Jim's US Route 89 photographs for their offices. The Phoenix and Tucson offices made their selection of images to be framed and displayed. The Salt Lake City office decided they would like a table top book of the photographs. Thus, the mess you see above, as I work to come up with a book form that will do justice to Jim's wonderful photographs. 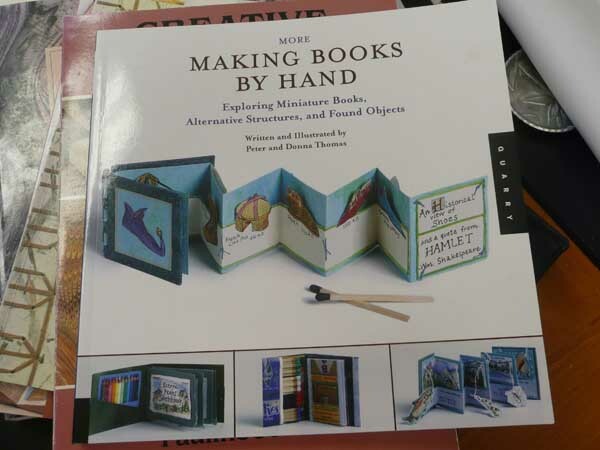 After much thumbing through of my various bookmaking books, and advice from Peter and Donna Thomas and participants at the workshop I took from Peter last week (see my last post) I think I've settled on a book form. This is my third attempt at making a prototype for the book. Not too pretty at this point. There is a lot of figuring that goes into making a book. In this case, one of my main goals was a book that will lay flat when open. I settled on an accordion pleat stitched book, with modifications. This book by Peter and Donna Thomas has great information. I recommend it for anyone who is interested in bookmaking. It's clear, has good instructions and photographs of beautiful books for inspiration. My next step is to try, try again with the accordion pleat idea. And to clean up the space. 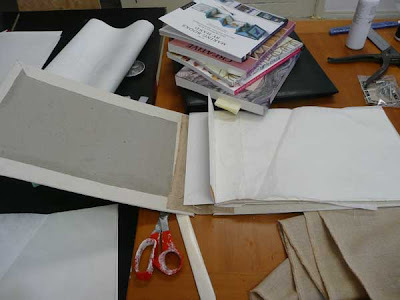 There is nothing to invite a bookmaking disaster like a mess. Glue everywhere, scraps of paper in the way, a lost exacto knife, you get the picture. Not to mention a deadline looming for the completion of this project.